As promised, we're peeling back the layers of an article about guarding our health written by Tim Challies, and according to Tim, when it comes to our health, God expects us to present it, steward it, nurture it, and employ it. Speaking of present - eh - today is my birthday. In some ways I feel younger than the math would report, but in other ways I'd say the math seems just about right. But back to the point, Tim writes, "You need to present your body. You are a whole person, your body and soul knit carefully together. You are to surrender to God all that you are, holding nothing back. Your body belongs to God and is to be used for his purposes. Thus, God calls you to surrender your body to him, to dedicate it to his service, to commit it to his purposes." Imagine if we surrendered to God everything about our health, holding nothing back? What would I have to present and surrender for that to be true in my life? Less or more time caring for the body He made? Better food choices or perhaps maybe less food obsession? Less vanity or pride? More diligence and self control? Questions for all of us to wrestle with every day. My body, your body, is a present. And God held nothing back of His will when He made us. That's crazy, huh? Please bless each reader; each seeker of your heart on this site. Please bless their health and the health of their loved ones. Here's to 46, Lord. You gave it to me. I'll do my best to give it back. So very Amen. 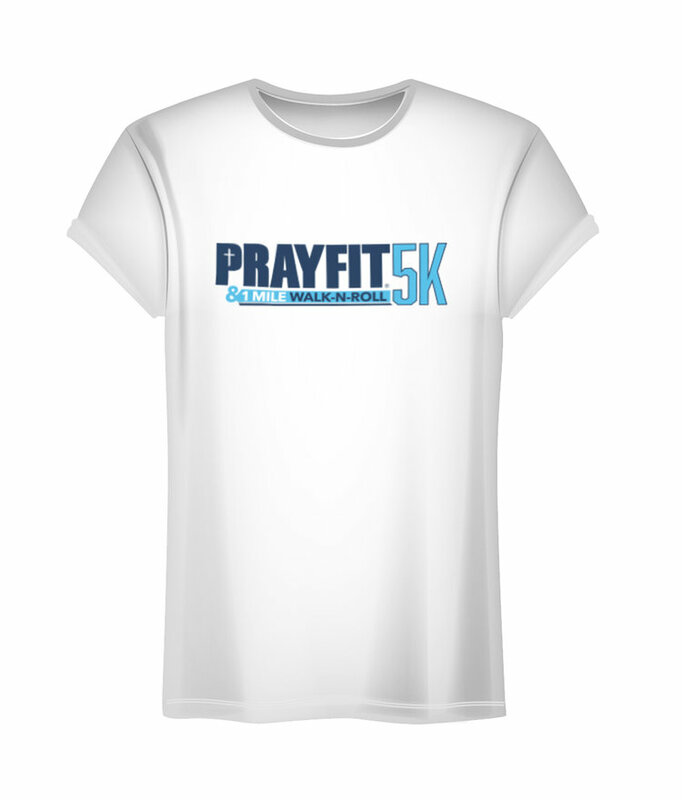 #46: I'm dedicating my birthday to the PrayFit 5K event on April 14th, but I need your help. For my birthday, I'm hoping 46 people will sign up for the event either to participate locally in Los Angeles or virtually from anywhere. You can walk your neighborhood solo or get some friends to join you or you can jump on the treadmill and knock it out at the gym. Can I get 46 today? Will you help me? Just click the banner below and register. I'll send you a medal, a t-shirt and please remember that every cent goes to helping kids affected by disability. That's a good birthday present.